Can I make you a Rabbit? 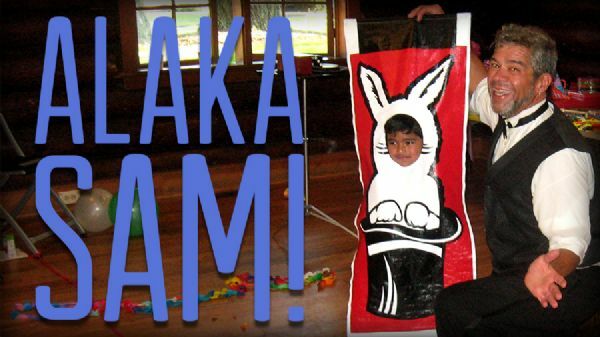 AlakaSam provides magical performance and balloon sculpting for children of all ages! He is quick-witted and ready to adapt his show for kids or adults. AlakaSam has been performing cards, coins, rope and stage magic for more than 40 years and has been a science teacher for almost as long. Magic by AlakaSam provides a fun shared experience that will get all your guests - children or adults - asking “How in the world did he do that?” AlakaSam performs wandering magic, twists balloon animals and performs a stage show to suit whatever event you are planning. If you are planning the event, you are guaranteed that you and your guests will have a very memorable and uplifting experience! 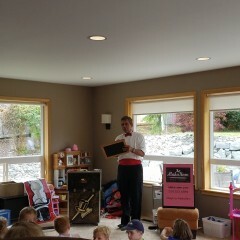 Really great party, kids were really fascinated and excited! 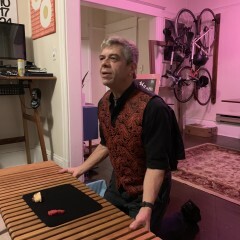 AlakaSam performed at my girlfriend's 29th birthday. We like magic, okay? Sam was professional, impressive, and provided great entertainment for my group of ~10 friends. He is the real deal and was courteous and friendly. Highly recommend! AlakaSam did a great job entertaining and interacting with the kids. The adults enjoyed him too. I would highly recommend him. 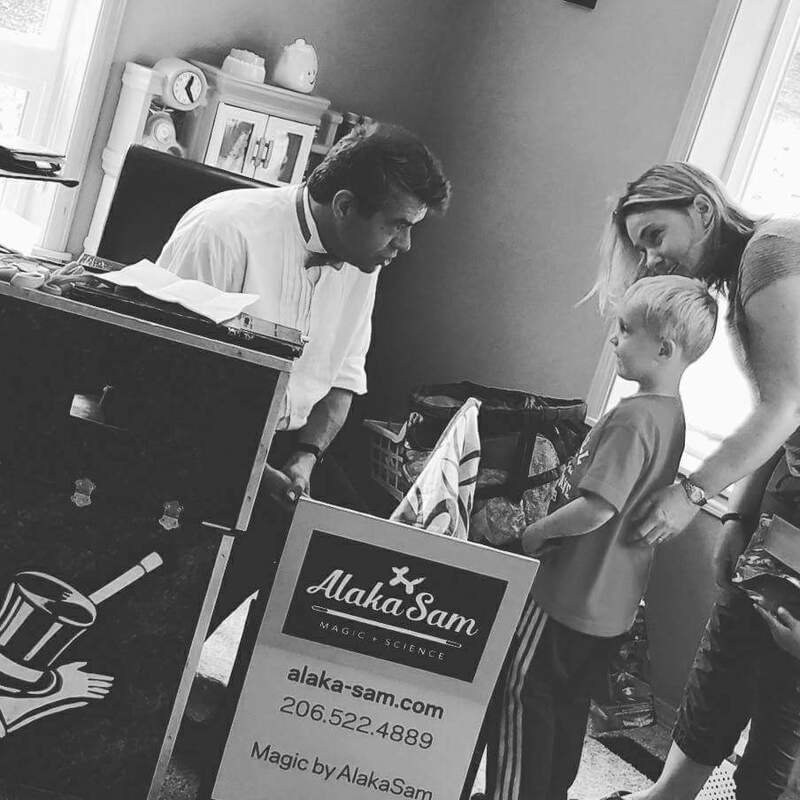 AlakaSam was very entertaining to both the kids and adults, we will definitely be asking him to come back, and will recommend him highly to anyone looking for something new and entertaining than the same old birthday or holiday idea's. Laura: Thank you for the 5-Star Review! It was obvious that the kids had a great time at my show and I could tell that the adults were really enjoying themselves too by their laughter and looks! Plus, after the show it was an adult who asked for a balloon crown. I look forward to entertaining everyone once again when you have me back. AlakaSam was the main attraction at the 8 year old's birthday party. He amazed the 8 year olds, and entertained my 3 year old. He is a funny and witty person. I enjoyed the hour show and all the kids received balloon animals. It was great! Hey Liz: Thank you for the 5-star review! 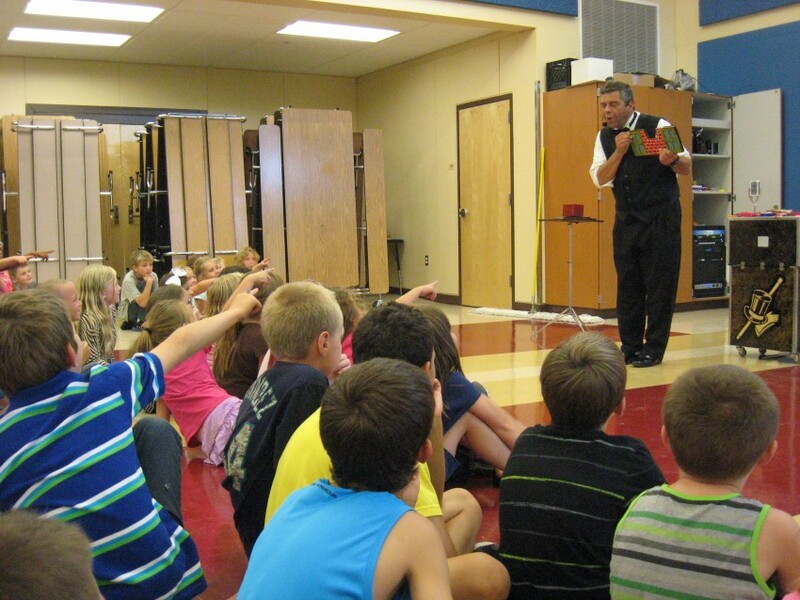 You assembled a very creative and enthusiastic audience--true fans of magic & balloons! Thank you to Denise as well for helping make the show happen. The kids loved AlakaSam's show. 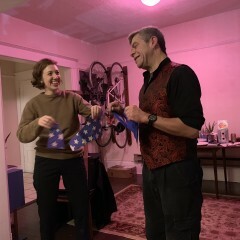 The tricks were very much classic/traditional magic tricks. AlakaSam did great during all shows but was best with the smaller crowds. Haylee: Thank you for posting a review of AlakaSam's performance for your camp and church audiences. And thank you too for encouraging me to include some science. You assembled wonderful audiences - true fans of magic, balloons and science! 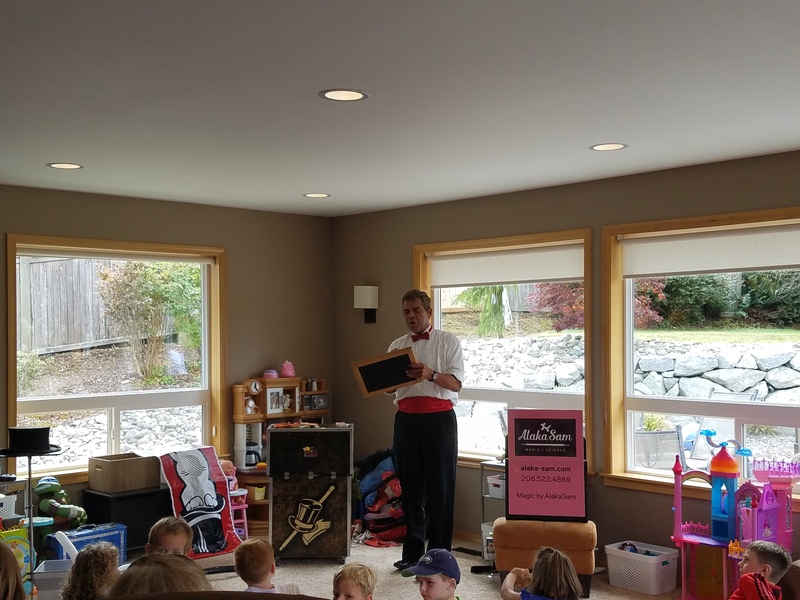 AlakaSam kept a group of 23 kids (ages 4-9) completely captivated and fully entertained for an hour with his magic, comedy and balloons at my son's 6th birthday party. There was lots of audience participation, and Sam made a balloon model for every child. He was punctual and responsive to messages. 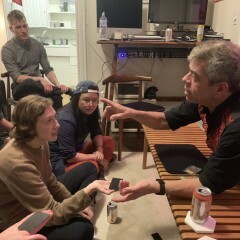 I would definitely recommend AlakaSam to anyone looking for a magician! Sue: Thank you for your recommendation! Your party was a lot of fun and both of your boys are aspiring magicians that I was pleased to include in the show! I look forward to future performances! What a great show ! Thank you Alakasam it was a pleasure and a fantastic show. Kids and adults had a lot of fun ! Edwige: What a fun time! Thank you for including AlakaSam with your celebration and I'm glad everyone enjoyed my presentation. You assembled a wonderful audience -- true fans of magic & balloons! Caryn: Thank you for your "Fabulous Review"! Your party was a lot of fun -- true fans of magic & balloons. Excellent entertainer for multiple age ranges. Sam was amazing and had the kids enthralled. I was nervous because we had about 19 kids ranging from 1 - 13 years and all of them, including the adults enjoyed the show. Highly recommend! Caroline: I am so pleased that magic and balloons by AlakaSam was so well received by all your guests! 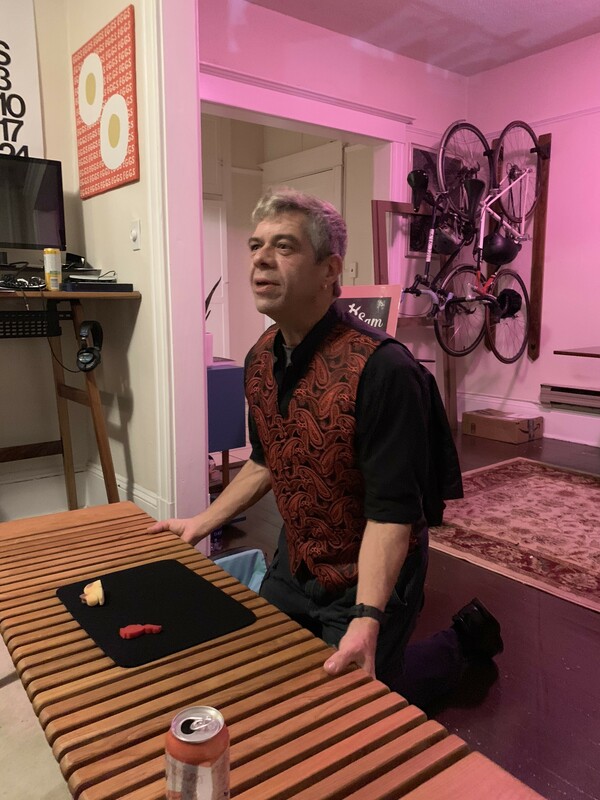 I look forward to future performances and thanks for the recommendation! Alaka Sam did a great job in entertaining the kids. He was punctual. He was very patient. He ensured each child received a balloon after the event. We loved his work. Thanks Alaka Sam. Garima & Family: Thank you for your kind review! Your gathered family & friends were a great audience. I am so glad we were able to include both your 6 and 1 year old birthday children in the performance. Sam was attentive to our specific needs, professional in his communication and performance, and of course very talented. Thank you for including AlakaSam in your celebration! It was great fun and my pleasure to adapt my show to meet your specific needs. I look forward to future to performances for your group! 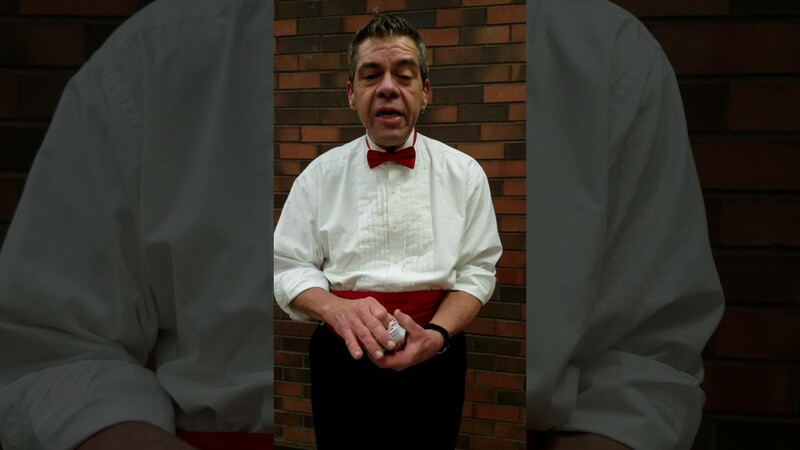 Sam Chamberlain is AlakaSam the Magician! AlakaSam started studying and practicing magic when he was 10 years old. He was an apprentice magician for five years at Howard’s House of Hocus Pocus in Buffalo, New York. 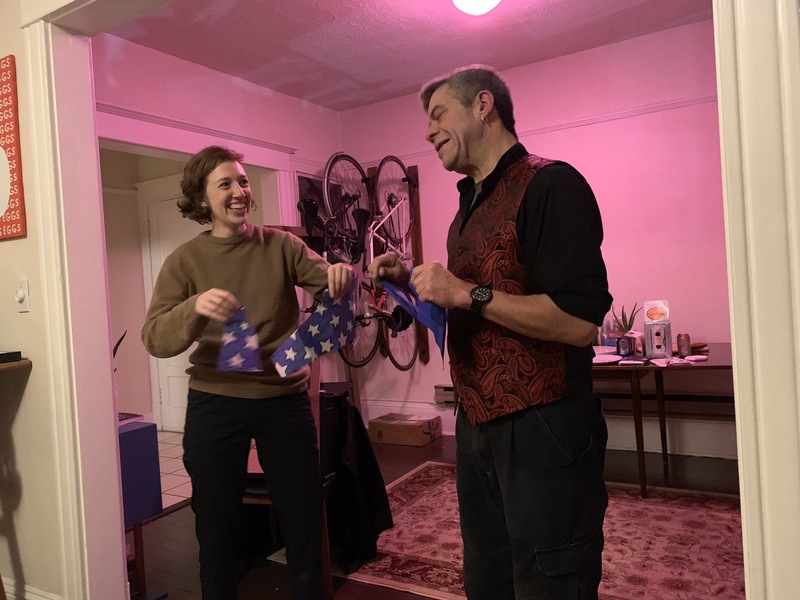 He was the assistant to the shop’s owner Howard Eldridge at magic performances and demonstrated and sold magic tricks to customers at the shop. 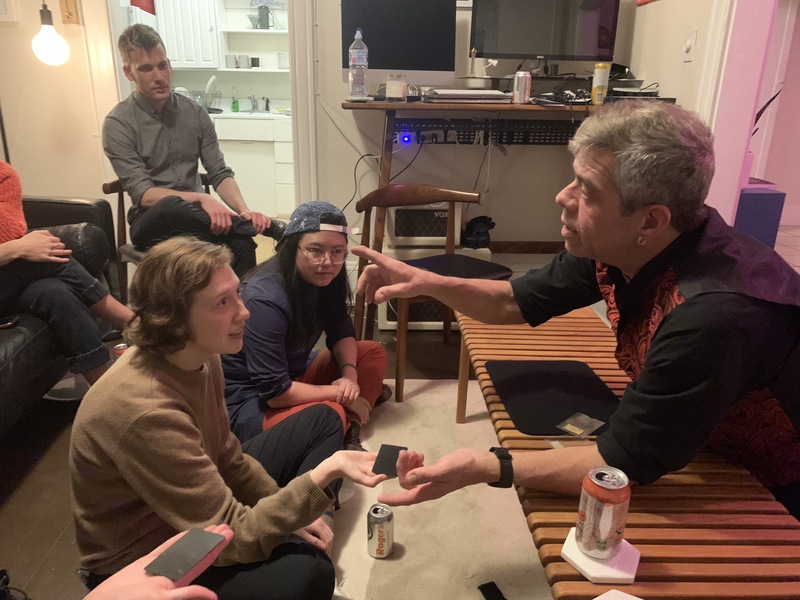 At Cornell University, Sam completed an epistemological study of magic and developed a magic course curriculum that he has since taught many times. 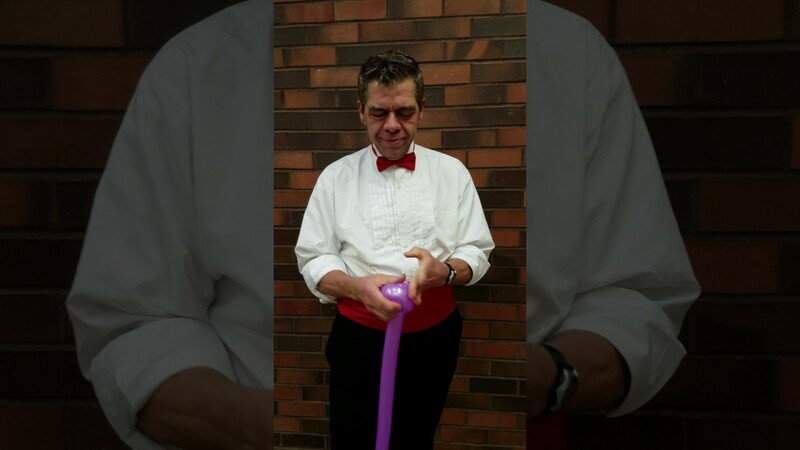 AlakaSam has now been performing comedy magic and twisting balloon sculptures for over 40 years! He incorporates lots of audience participation and it is a very uplifting experience as the volunteers help accomplish the magic. 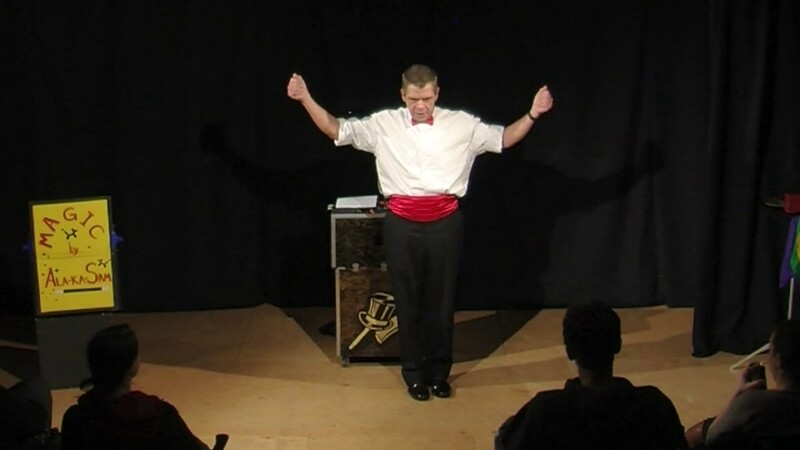 AlakaSam is available to perform wandering magic, twist balloon animals and performs a stage show that includes the Chinese Linking rings, the appearing cane, Sword through Neck as well as card, rope and silk tricks. AlakaSam also works occasionally at the Magic Shop in the Pike Place Market. I provide all my own tables and equipment. I will ask to use a chair or stool to place my case on.